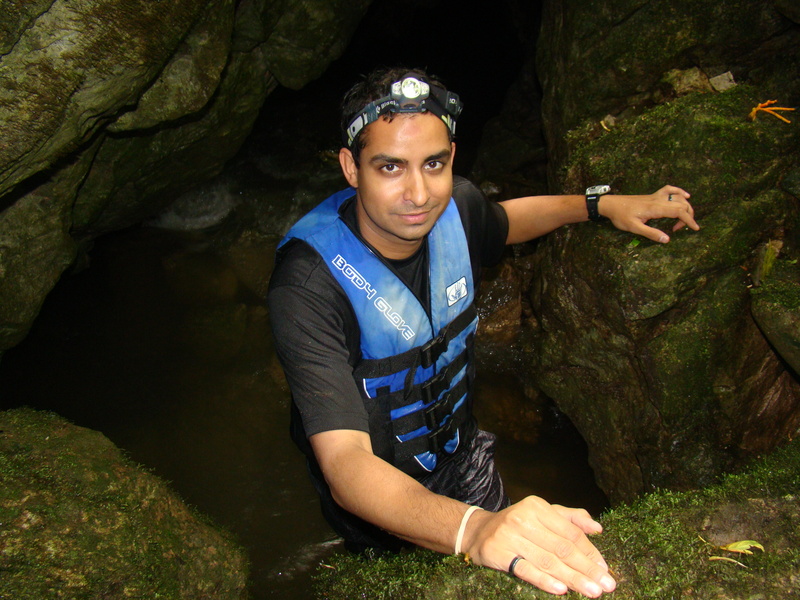 Dr.Prosanta Chakrabarty is an Assistant Professor at Louisiana State University and an ichthyologist and evolutionary biologist. He is also Curator of Fishes at LSU’s Museum of Natural Science. You can learn more about him from his website www.prosanta.net and follow him on Twitter @LSU_FISH. A recent piece in Science (Minteer et al. 2014) titled “Avoiding (Re)extinction” advocated avoiding collecting specimens for the sake of confirming the existence of a species. In lieu of killing and collecting the animal the authors suggest using “high-resolution photography, audio recording, and nonlethal sampling.” As a natural history curator of fishes I found this to be a pretty bad idea. 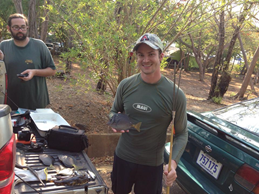 My PhD students (Bill Ludt and Caleb McMahan) in Costa Rica collecting specimens for their thesis projects. These guys better not just come back with pictures. I don’t like killing animals, I was a strict vegetarian for 10 years (now I just eat sustainable seafood – hey, I live in Louisiana). I certainly wouldn’t want to endanger a species by over collecting it. I know of no scientific collectors who kill rare animals just so he or she can say they have it in their collections. We collect for a few simple reasons: because specimens are not available otherwise via loan, or additional specimens are needed for a comparative study, or because we need vouchers as evidence of the existence of the taxon. I’ve collected rare species in the past, particularly some of the cavefishes I work on. For one of these species, Typhleotris mararybe, we collected the only two specimens we or anyone ever saw. We were in a very remote part of Madagascar and we were only allowed to collect two specimens from any given locality. I knew these individuals were part of a species new to science as soon as I looked at them. Did removing two samples place this species at risk of extinction? Guessing the population was much larger than what we found just at the surface, I would suppose not. What were we to do? Not collect them and just take pictures? We wouldn’t have been able to do the necessary comparative descriptive analysis to actually prove their novelty required by the ICZN (International Commission of Zoological Nomenclature). We collected these specimens so that we could formally describe this new and fantastic new species so that the world can be aware of their existence and so that measures can be put in place to conserve them and study them further. I did not fear that our discovery would cause a rush of fish curators to come to the type locality of this new species in order to have one of these specimens just for themselves. These two specimens are now types deposited at the American Museum of Natural History. I was perhaps more fearful that rogue amateur collectors would go to this locality and try to collect specimens just to try to sell them to the pet trade (see Schlaepfer et al. 2005, or this article in BBC News. I found most troublesome that Minteer et al. lumped us natural history collectors with these despised private collectors; as the authors describe them, “private individuals seeking to own and display rare animal specimens for their perceived scarcity and thus value.” Not to disparage those aquarists and amateur collectors actually doing quite a bit to save these species from extinction by getting them to breed in captivity; however, many of these amateur collectors only have $-signs in their eyes. Scientific collectors get no financial benefit from collecting. The authors state, “Cultural traditions within a research community can, however, reinforce the collection of voucher specimens even where it is not necessary by insisting that a preserved specimen in a natural history collection is the gold standard—or only standard—for publishing a species description or documenting a species’ presence. Collecting specimens is no longer required to describe a species or to document its rediscovery….Perhaps the most powerful alternative method to collection is a series of good photographs.” Although it is true that you don’t need a specimen anymore to describe a species, the lack of a specimen must be justified. (ICZN Article 72.5.6; 73.1.4). To describe a species you should, but don’t need, a dead specimen, although it is highly encouraged and typically mandated by reviewers. Lack of a holotype is highly discouraged and will require a great deal of justification. What is to stop someone from using Photoshop, or clay, to make the claim of the discovery of a new species? (See this example of a fake mermaid). If taking pictures instead of collecting vouchers became the new norm we would have major issues in taxonomy. There is no substitute for having specimens in hand for getting the identifications right. Can you imagine the conservation nightmare if we had declared the Ivory-Billed Woodpecker extant based on just a few photographs and recordings? This image below is a photo I took of a specimen in the Louisiana State University Museum of Natural Science collections. Minteer et al. 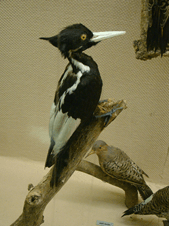 make an especially big point about rediscovered species, “In the case of rediscovered species, many were already well described, and a good-quality image should suffice” – Umm, do you remember when the Ivory-Billed Woodpecker was “rediscovered.” All we had then were good images . Luckily more than just photographs were necessary for documenting a population of this long extinct species. It has been 10 years since those original claims of rediscovery; unfortunately, despite many efforts it turns out no one has verified the existence of a living specimen. The Minteer et al article is an affront to all taxonomists, morphologists, conservation biologists, and responsible collectors. The vast majority of us are using strict scientific and ethical guidelines. Between IACUC (Institutional Animal Care and Use Committee), Fish and Wildlife, local, national and international permitting agencies we have little leeway to collect in the first place. Articles like Minteer et al. make the situation worse by making us sound like criminals or at the very least blood-thirst hooligans who care more about what new rare find we have in our collections than the survival of that species. Museums themselves are already under threat from budget cuts, and from a lack of trained naturalists. Why are museum collections important? Well for one thing they keep those vouchers handy so you don’t need to get a fresh specimen each time you want to study a particular species. (Conservation! See Josh Drew’s excellent paper discussing the role of museums in conservation. Collections can help us rediscover extinct species (See Steeves et al. 2010) and prevent the extinction of others (see Lips 2011). Schlaepfer, M.A., C. Hoover, and C.K. Dodd (2005) Challenges in Evaluating the Impact of the Trade in Amphibians and Reptiles on Wild Populations. BioScience 55, 256-264. A fruit fly is not a mammal, and other revelations from the museum. My five favorite responses to the Loch Ness Debunking. Well-argued. There need to be new terms for “scientific collection” and “collectors” who steal rare animals from the wild for the pet trade. Oh yeah, “thieves” works. Excellent post making the important distinction between collecting for an increased global knowledge and collecting for personal interest. As an aside, I found this post while researching use of collections in current conservation projects and I didn’t expect to see my mermaid article referenced – weird coincidence!